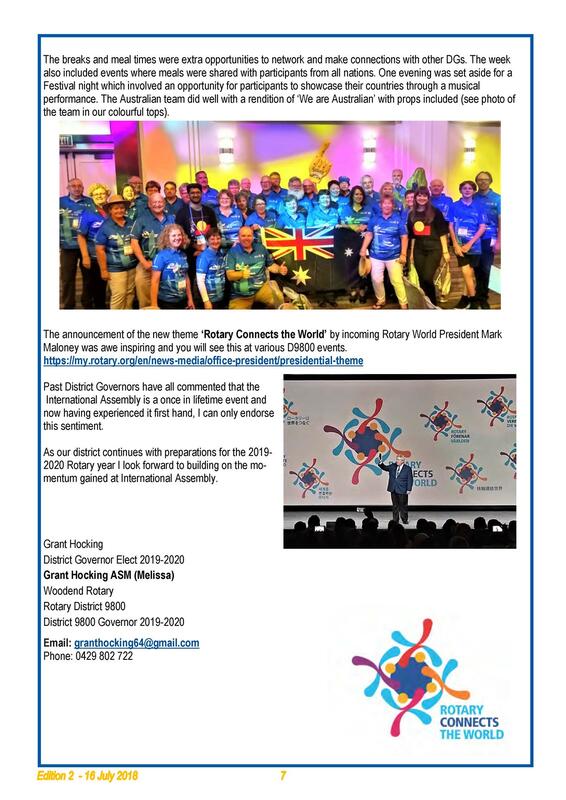 An element of preparation for all Rotary District Gover-nors Elect includes attending International Assembly in the January prior to commencing as District Governor. 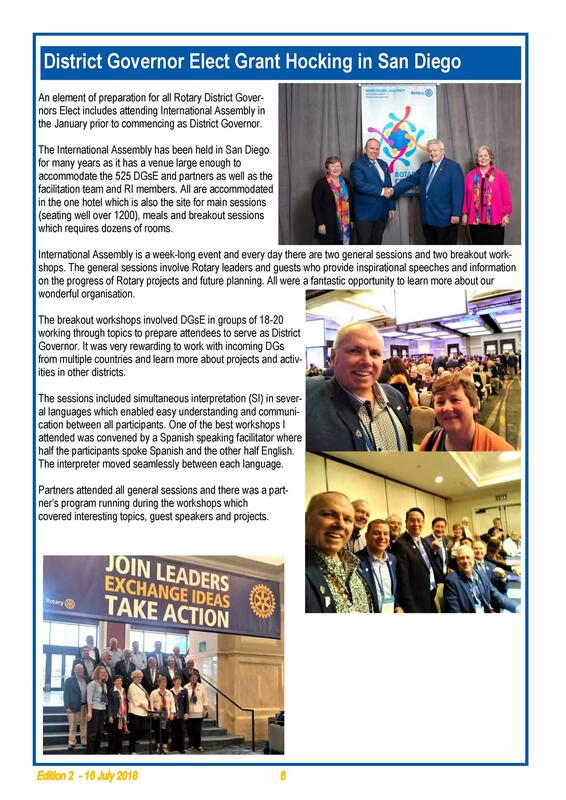 The International Assembly has been held in San Diego for many years as it has a venue large enough to accommodate the 525 DGsE and partners as well as the facilitation team and RI members. All are accommodated in the one hotel which is also the site for main sessions (seating well over 1200), meals and breakout sessions which requires dozens of rooms. International Assembly is a week-long event and every day there are two general sessions and two breakout work-shops. 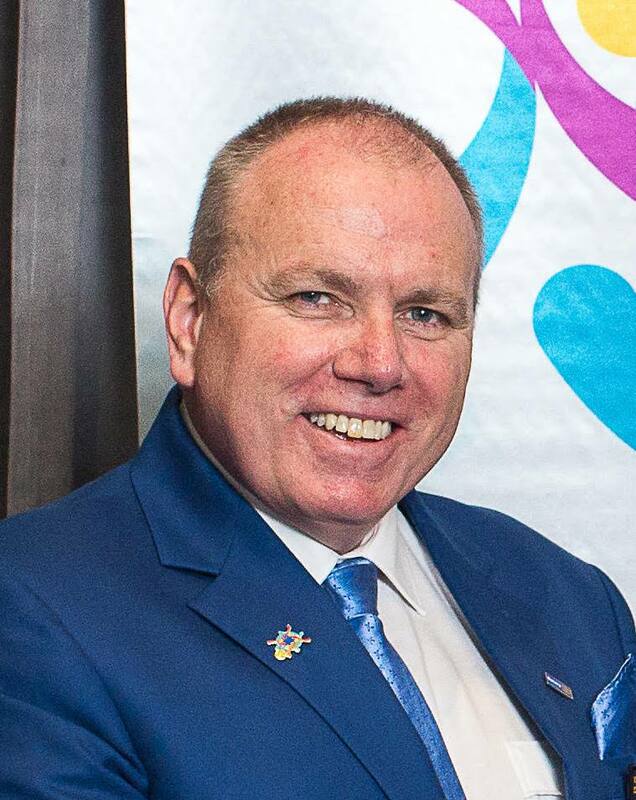 The general sessions involve Rotary leaders and guests who provide inspirational speeches and information on the progress of Rotary projects and future planning. All were a fantastic opportunity to learn more about our wonderful organisation.